Jill Paddock is a born and raised Calgarian who has a natural sparkle for life. 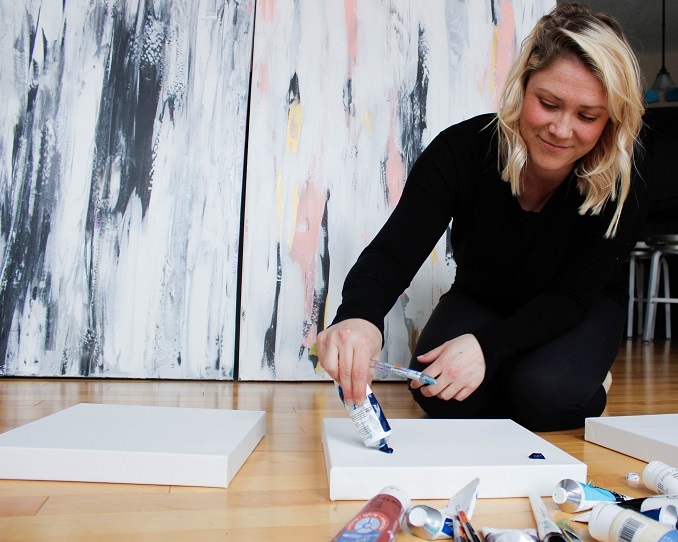 A believer in good humans and finding the beauty in the ordinary, Jill uses her artwork as a form of therapy and way to connect to the “more than”. 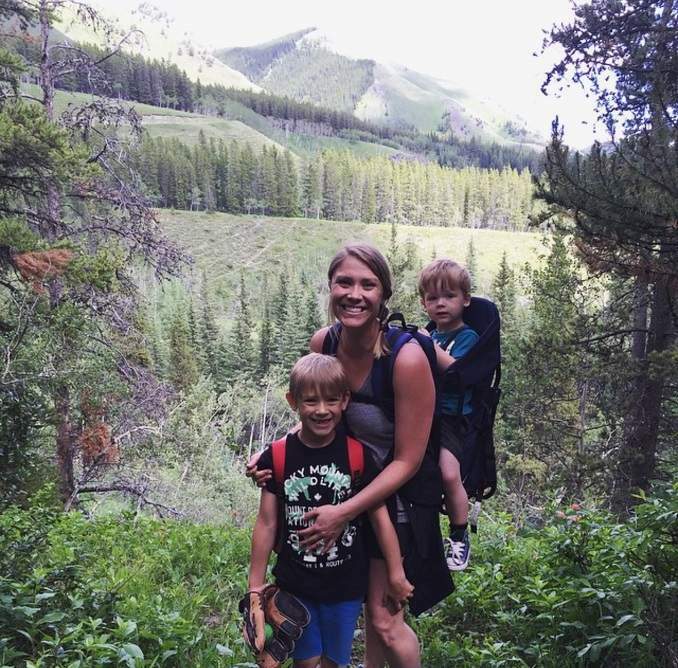 While she is not taking care of her three little boys and running her household, she’s in her studio sharing with the world her artistic process. A child at heart, Jill’s approach is playful and whimsical but she is always pushing her artistic boundaries by trying new styles or learning new techniques. Jill loves to collaborate; whether it’s with a budding artist or an entrepreneur, she works on projects that are both meaningful and educational. She cares for her community and can be found volunteering her time teaching creative enrichment art classes to teenage girls, or instructing in her son’s grade three class on special art projects. 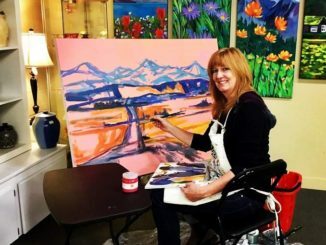 Jill’s artwork is sprinkled throughout the city of Calgary from the public library to couture bridal salons. She has a devoted following of collectors who more often than not become friends, and who cherish having a small piece of Jill Paddock’s sparkle in their lives. My husband and I on our wedding day…we’ve been married 16 years and started dating in grade 8! 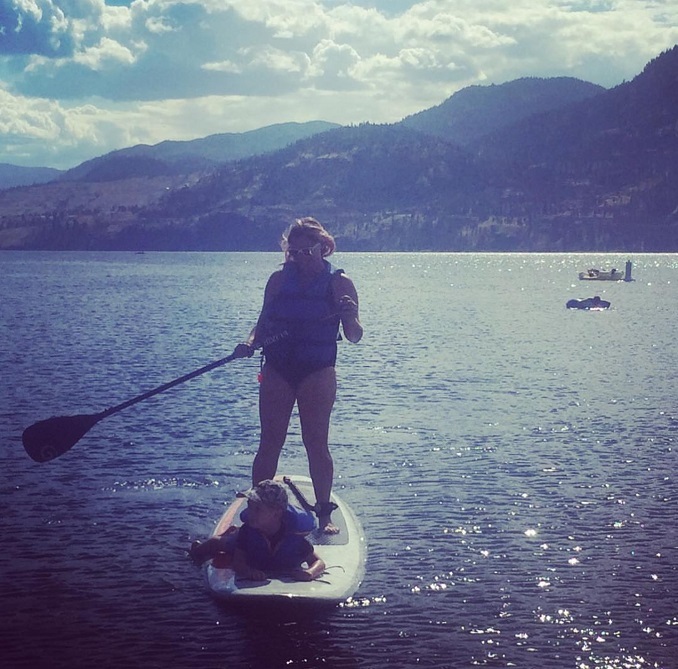 With our three boys at Skaha Lake in Penticton, BC…one of our favourite places to go as a family. 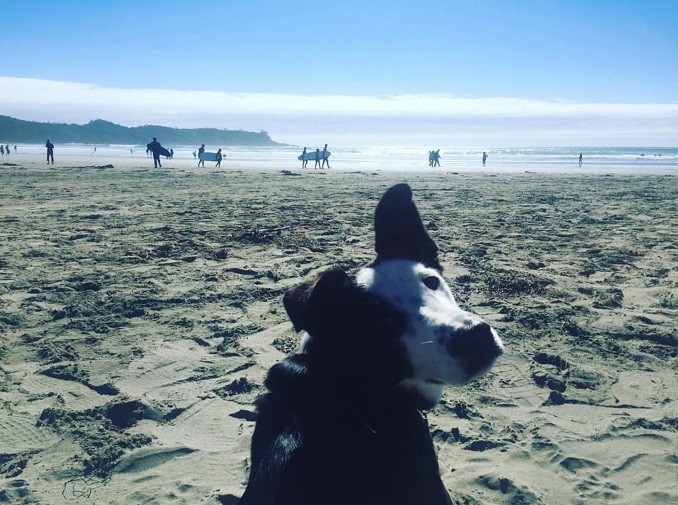 Our sweet doggy, Alfie, watching the surfers at Long Beach in Tofino. 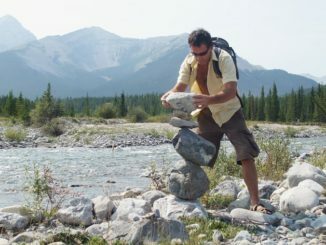 Hiking with the kids to Troll Falls in Kananaskis. Working on my kitchen floor, my ‘studio’ for many years before I got a space of my own. 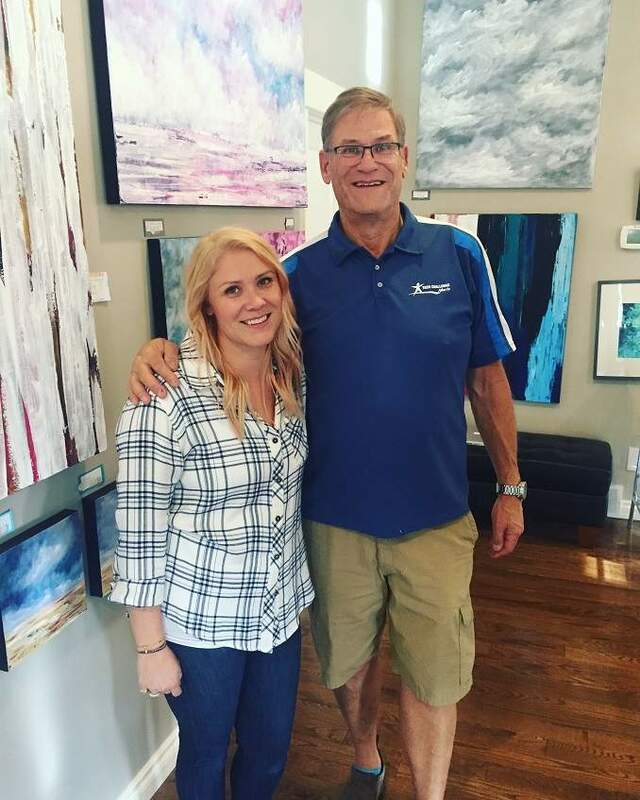 My dad and I…he’s an artist as well! Paddle-boarding…one of my favourite things ever as I find it so peaceful. 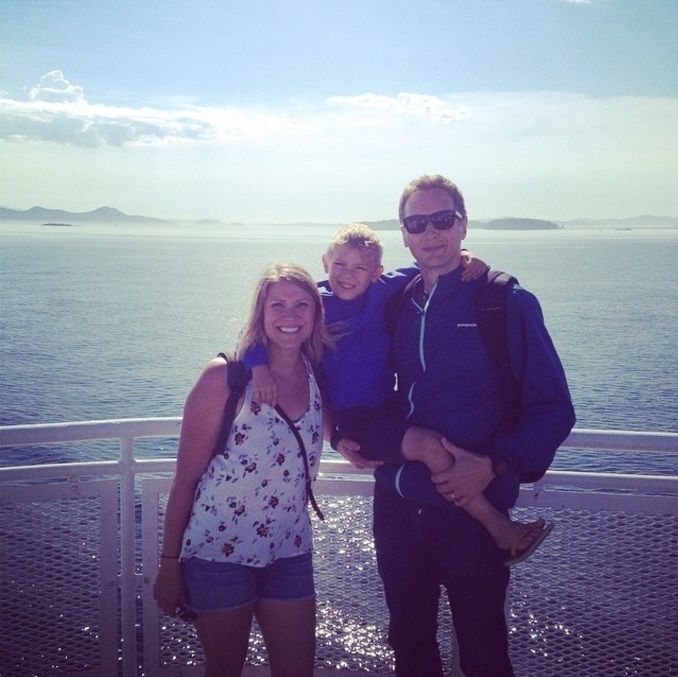 On the ferry to Vancouver Island. I LOVE being near the ocean. I live in Discovery Ridge, SW Calgary. 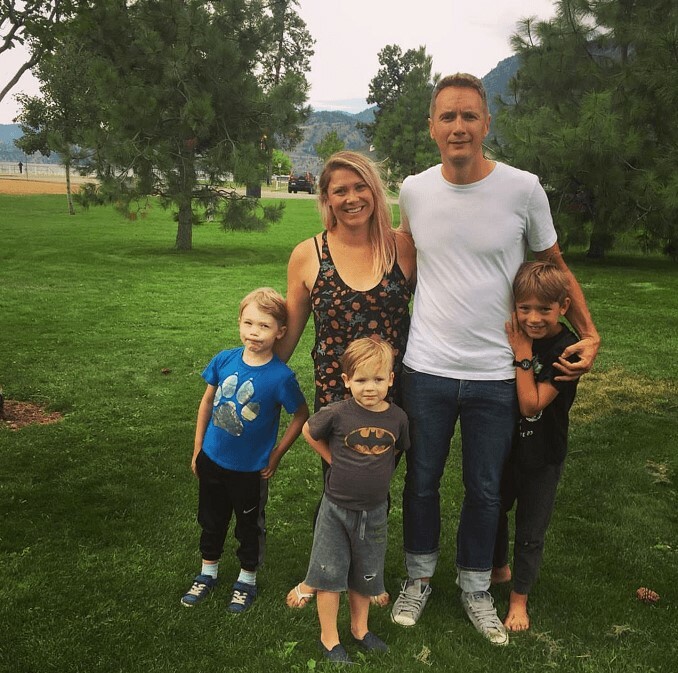 I am a wife, stay at home mom of three boys (10 1/2, 7 & almost 6) + artist. 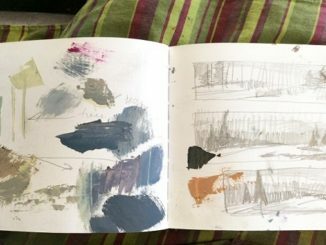 I am currently working on a few commissions, painting a paddle as a donation to raise money for women in the Olympics, getting a piece ready for display at the Lougheed House over Christmas, a couple new collaborations with other local makers that I cannot wait to share + prepping for a group show at Phil + Sebastian (Mission) in December. You can find my artwork at Adorn Boutique, Ollia Macarons & Tea, Pearl & Dot Bridal Boutique, Pretty Sweet Bakery, Outside The Shape, & The Centre For Sexuality. In the new issue of Dote Magazine coming out in late November.